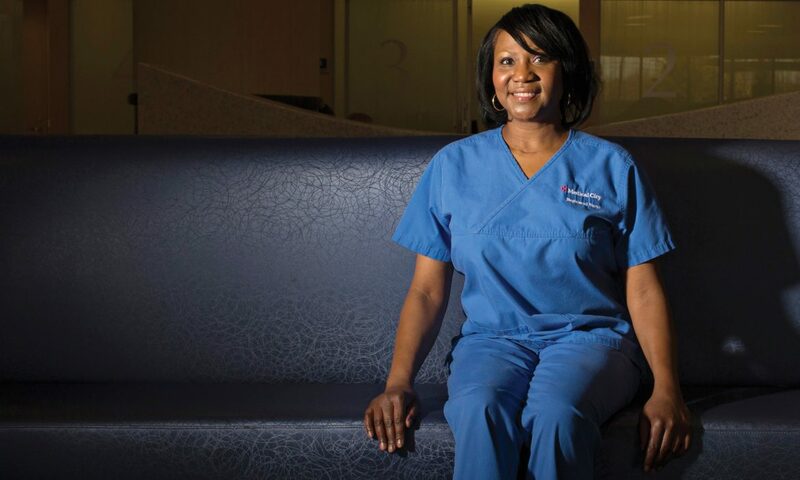 HCA, one of the country’s largest healthcare organizations, employs more than 170,000 people in its hospitals, walk-in clinics, physician practices and ambulatory surgery centers. 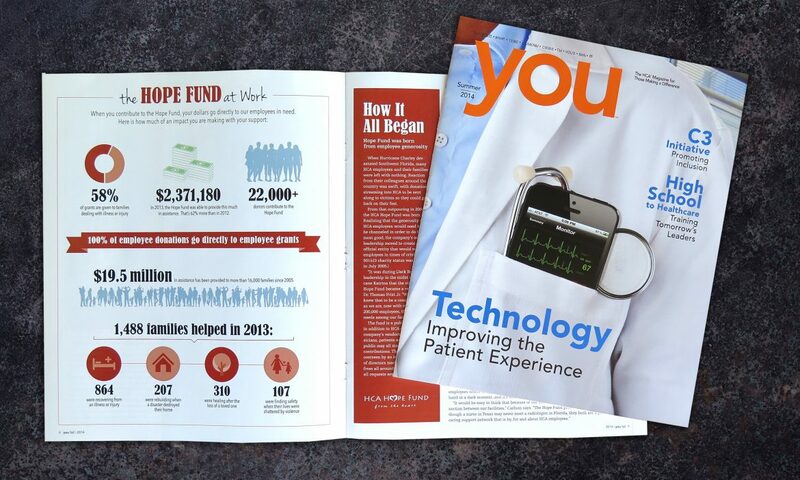 YOU, its employee magazine, is the only in-home communication all employees receive, and so must communicate company values to a widely varied readership. 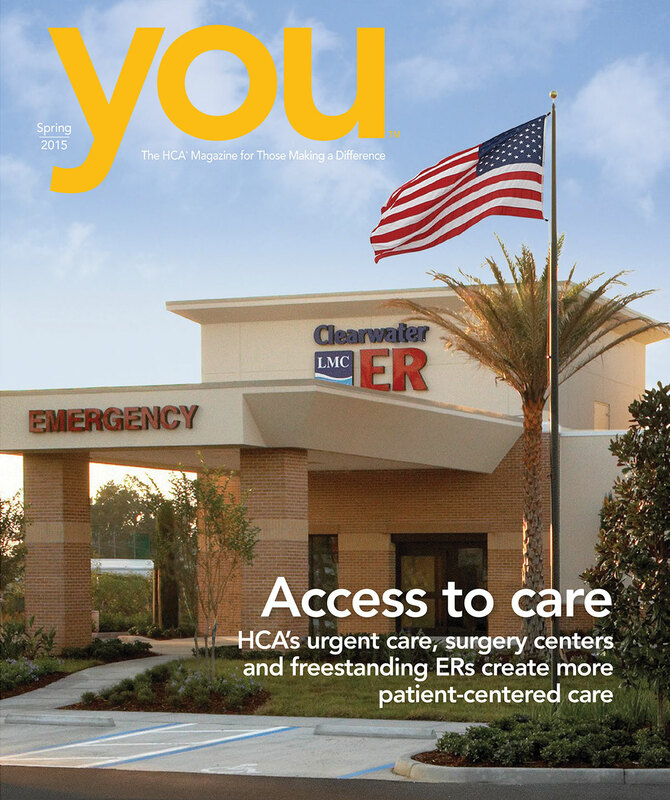 The quarterly publication does this by featuring “employee as hero” stories that bring HCA values to life, as well as articles that explain the reasons behind specific processes and policies. Parthenon also contributes employee profiles to the HCA Hope Fund, the company’s employee assistance program. 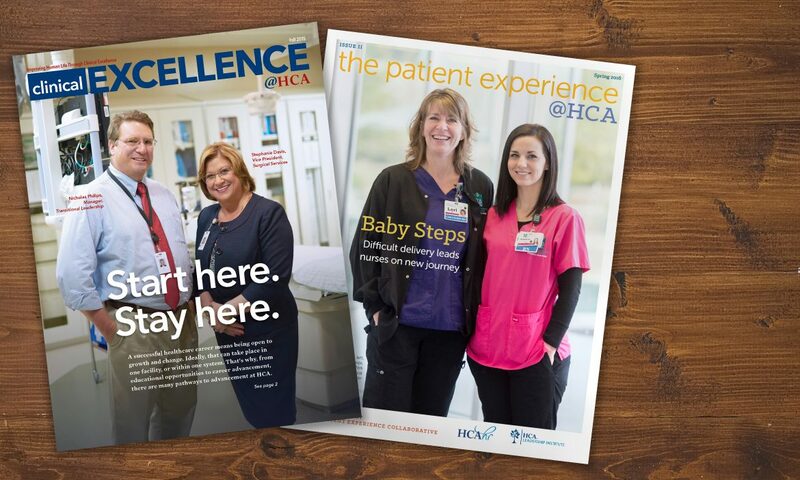 Two other publications, Clinical Excellence @ HCA and The Patient Experience @ HCA, reach HCA clinicians and focus, respectively, on hospital initiatives and patient care.